You target the neighborhoods you want with our coupon mailer and we do the rest. 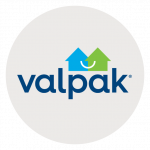 In addition to direct mail, Valpak of Central Maryland provides everything your business needs for a strong online presence. As a Google Premier Partner, Valpak offers you online visibility using SEO best practices. We also offer search engine marketing services like pay-per click to rev up your exposure. What kind of ROI does Valpak direct mail offer? Track it with our analysis tools like call tracking and performance tracking. They deliver the proof of performance you demand on your advertising spend. For specific dates and coverage, contact your Valpak of Central Maryland representative.